Such a cute card! There are so many lovely animal stamps and dies around at the moment, I love your penguins, they are having fun! These little penguins are so cute! They look like their having such fun. Hi Sylvie, this is soo cute, just love the penguins. I love your fun penguins. So well coloured too. Made me smile to see this card. Hugs Mrs A. 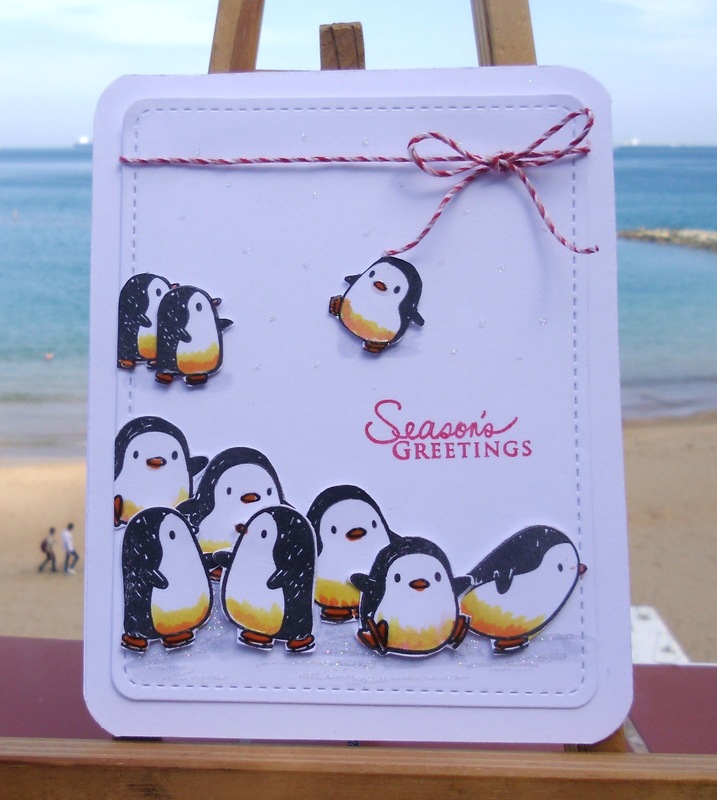 Such a fun card Sylvie, adorable penguins. Totally Cute! I like the CAS look, and it made me think of that movie about the Penguins' march to sea that was so popular years ago. (or the Happy Feet movie too).It's just such fun. MoJo is still there with you! TFS & Happy Easter. Aren't those little penguins the cutest!! So cute -- "Watch out for the Penguin poop!!" Aww these chaps really have made me smile! What a fab fun card! Your penguins are so fun and so very cute! Great card, Sylvie.